There is no other restaurant that can offer great tasting biscuits and chicken all at the same time but Bojangles’. And if you’re watching your diet closely, then the Bo-Smart menu is just the right thing for you: delicious dishes at under 500 calories. At Bojangles’, everybody’s happiness is guaranteed. Bojangles’ started in 1977 when two veteran entrepreneurs realized how people were craving for good food but to be served with only little amount of time. So began the dream of Jack Fulk and Richard Thomas: to be able to provide people with a restaurant that serves with a distinctive flavor, and with dishes made from great quality products, along with a joyful, festive ambiance. In 2011, Bojangles’ was already able to open its 500th restaurant, which paved way for QSR Magazine to include it in the Top 10 Franchise Opportunities. And just three years later, Bojangles’ opened its 600th restaurant at Norfolk Naval Base. With Bojangles’, employee satisfaction is as important as the customers’. Their benefits program include a 401k plan, health and life insurance and paid vacation, as well as paid training. Aside from that, they also provide free uniforms, meal discounts, and a development program, known as the Bo-Star Incentive Program wherein employees are taught and trained for their future in the business industry. People love working for Bojangles’ because they make sure that everyone feels like they are part of the family. Bojangles’ don’t just guarantee delicious food, but they also provide their employees with a promising future as part of their own. How old do you have to be to work at Bojangles’? To join the growing family of Bojangles’, applicants must be at least 16 years old to qualify for a job. Supervisory and managerial positions require more experience and training, thus, enlist people who are of certain age. From the very first Bojangles’ restaurant in 1977, forty years later people have grown quite attached to its signature biscuits. And with the demand for more restaurants to be opened, opportunities have soared as well. Bojangles’ is looking for talented, dedicated, and passionate people to work alongside them in giving people a taste of heaven in their plates. Assistant Restaurant Manager: An Assistant Restaurant Manager is responsible for facilities and equipment maintenance, repairs and calibration. They are also in-charge of overseeing the delivery of goods and raw food, as well as ensuring the quality of the dishes being served. Restaurant Manager: A Restaurant Manager supervises restaurant opening and closing operations, implements new marketing protocols, and caters to customer complaints. They are responsible for maintaining the budget for restaurant operations and are able to project sales against current market trend. Shift Leader (Part time): A Shift Leader oversees the operations of the restaurant within the assigned shift and ensures that the food quality, service to customers, and the physical appearance are all within the standards of Bojangles’. They are also in-charge for the control of the flow of cash and the distribution of labor during their shift. Shift Manager (Full time): A Shift Manager oversees any assigned shift, may it be opening, closing, or transitional without supervision. They ensure that all protocols are being followed when it comes to food quality, customer service, and the maintenance of restaurant cleanliness. Team Member (Dine-in): A Team Member for Dine-In ensures that all customers, whether for dine-in or take-out receive a warm welcome and at the same time, be able to leave with nothing but satisfaction for Bojangles’ delicious food and quality service. They also ensure that the restaurant is clean and orderly at all times. Quality Assurance Coordinator: A Quality Assurance Coordinator oversees the working relationship within the Quality Assurance Department and the Supply Chain. They act as liaison for other departments and teams such as Franchisees/Operators, Suppliers and Service Providers. Unit Director: A Unit Director is in-charge of ensuring that the restaurant is able to achieve its target sales, and that all operational costs and purchases are well within its allocated budget. They are also responsible for utilizing systems and programs that will help its restaurant staff become more skillful and developed. Area Director: An Area Director is responsible for a group of restaurants, and is assigned to ensure that the operations, marketing, and development of the management within its jurisdiction is up-to-date and well within Bojangles’ standards and regulations. Recruiting Coordinator: A Recruiting Coordinator provides support to the company by initiating contact with prospective applicants and giving them an initial evaluation based on the set qualification standards for certain job positions. They schedule interviews and provide applicants with the necessary information they need to fully comply with the company’s prerequisites. Team Member (Cashier): A Team Member for Cashier ensures that all customers are charged and given the right amount for the meals they have purchased. They are responsible for the restaurant sales at the beginning and end of their shift. An interested person may apply for a job by simply going to the Bojangles’ website and clicking on the Careers button wherein they could see the available positions, as well as the search engine that they can utilize to further their search. Applications for vacant positions can easily be accessed through Bojangles’ official website where vacant positions are listed. However, certain positions such as those for individual franchisees can only be sought by contacting the local stores. In the Positions search engine, make sure that you encode the state or store location where you wish to work. This will make it easier for you to find a job within the vicinity of your home or your desired location. Make sure that your resume contains updated information and that all your contact numbers, as well as e-mail addresses are accurate. Avoiding crowding your resume with unnecessary information and include only the latest trainings and job experiences. Make sure that you understand the job description and responsibilities of the position you are applying for to avoid being processed for the wrong one. Prepare all the necessary documents pertinent to the position you are applying for like training and seminar certificates. Bojangles’ isn’t just big on biscuits, it also put an emphasis on teamwork. They ensure that all their employees, from the team members to corporate management feel that they are part of a bigger family. They believe that only by helping one another can they achieve great success and delicious food. Animal Welfare has been Bojangles’ latest concern as it made sure that animal welfare is still being respected and federal rules and regulations are still being followed even though it is in the food industry. 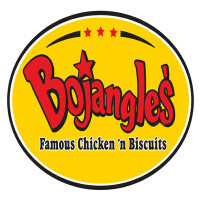 Bojangles’ is known for its signature biscuits and deliriously delicious chicken and sides. But other than that, its generosity has also put it in the spotlight as it supports American Red Cross, Muscular Dystrophy Association and even South Carolina public schools. Bojangles’ has been raising money for over 18 years now for the Muscular Dystrophy Association. It has even been recognized as one of the association’s Top 10 partners when it comes to fundraising. 1 How old do you have to be to work at Bojangles’?